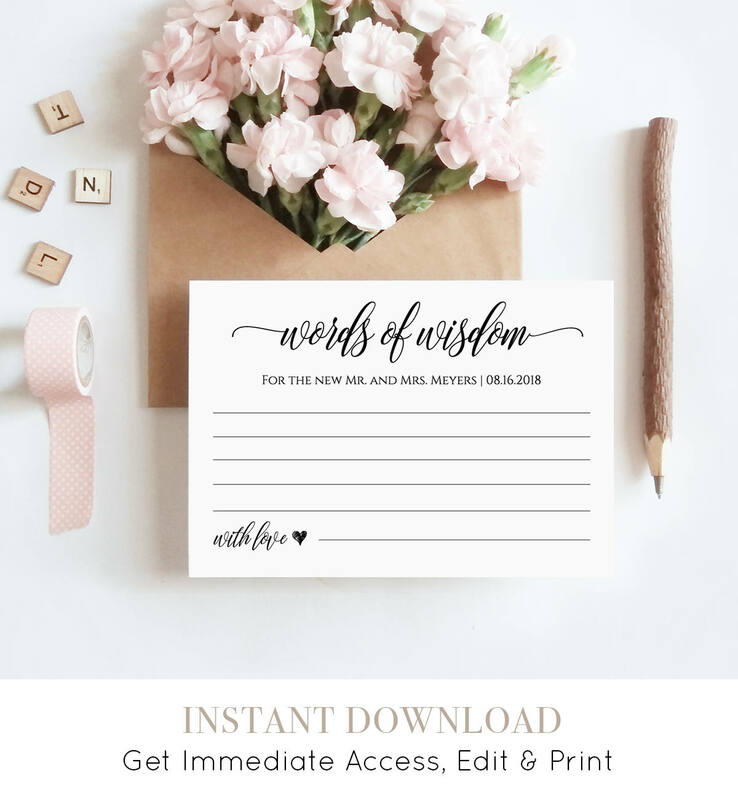 This listing is an "INSTANT DOWNLOAD" that includes a high resolution, printable Wedding "Words of Wisdom" Card. 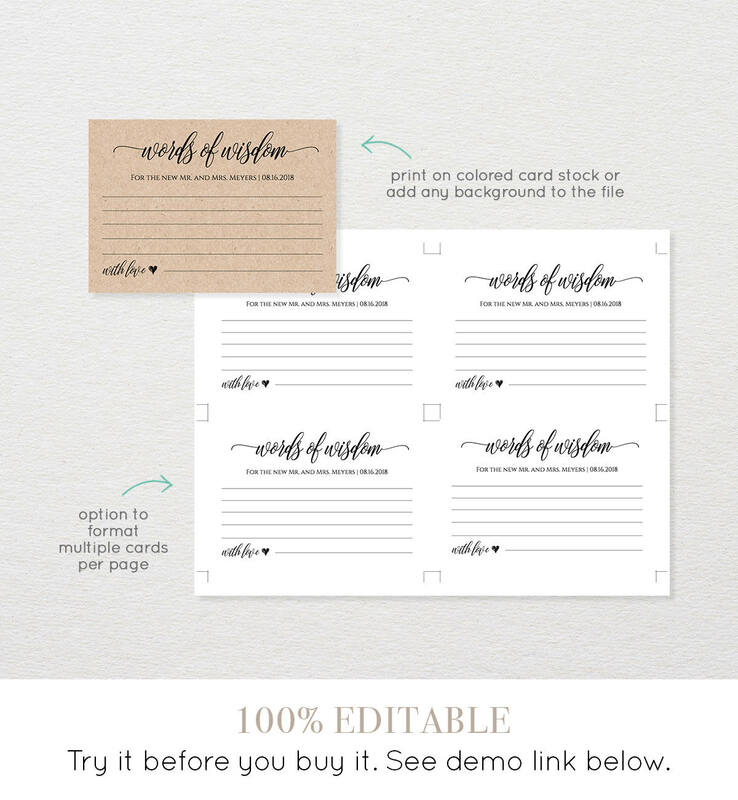 Design and create as many cards you like, including advice, well wishes, date night, share a memory, etc. 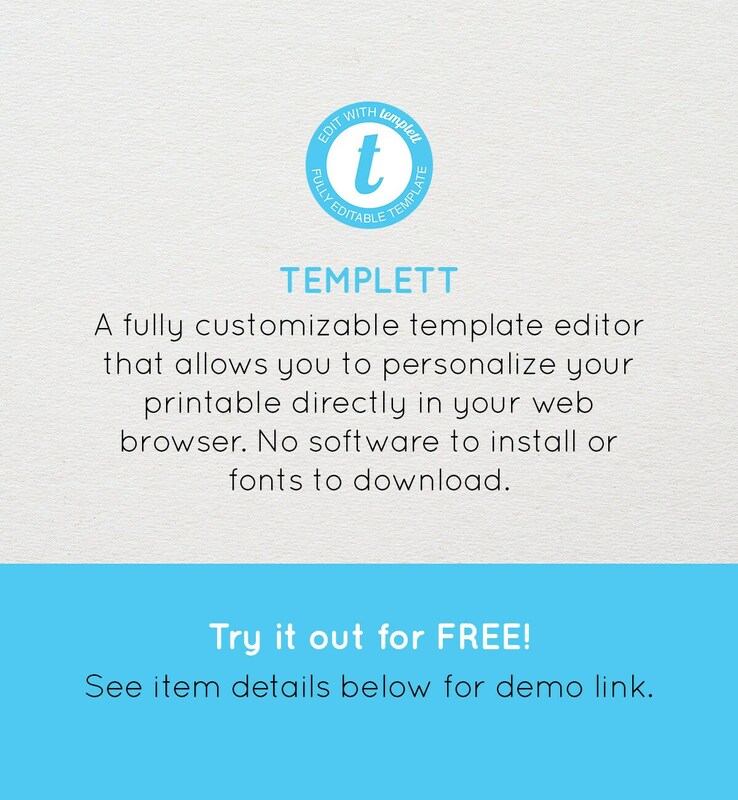 Access your template within minutes of purchase and edit in TEMPLETT - A fully customizable template editor that allows you to personalize your printable directly in your web browser. 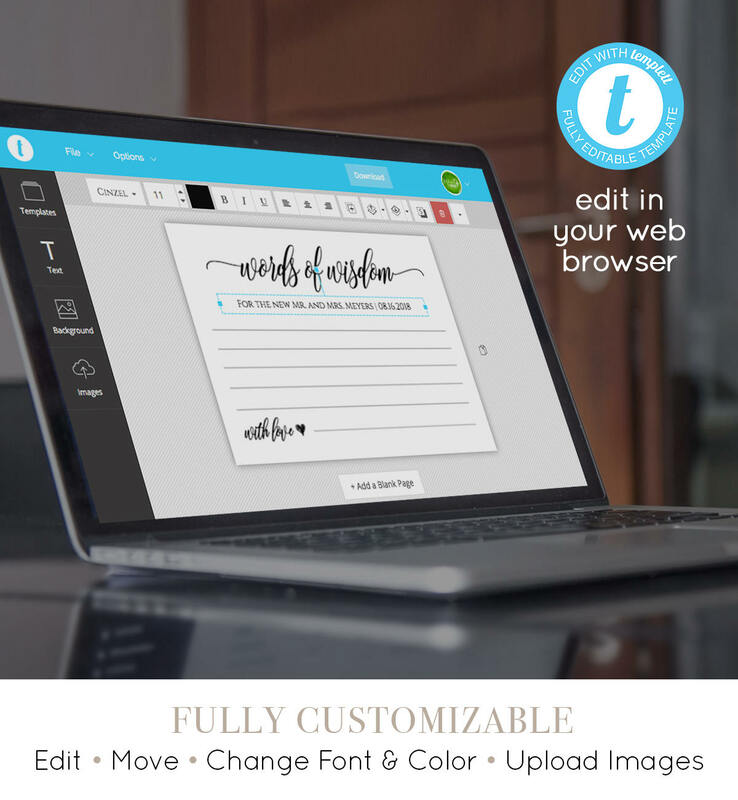 No software to install or fonts to download. I love that I can alter the text, color, and font on this card to make it more personal. The communication and prompt service was great. Will definitely use again.